The Philadelphia Museum of Art in autumn. 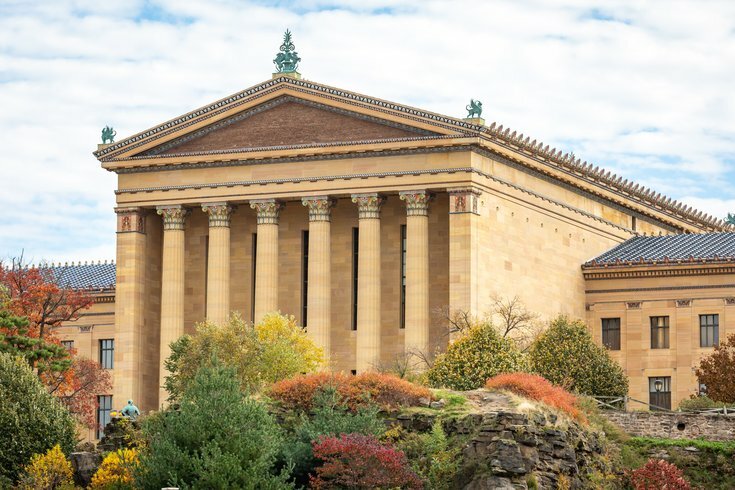 The Philadelphia Museum of Art's "Ultimate Ugly Sweater Party" is coming up. At the Friday night event, museum guests can dance, bedazzle their knitwear and sip on spiked cocoa. The event is part of the museum's Final Fridays series, and free with general admission. Wear your gaudiest sweater to take pics in the photo booth, or spruce up a plain sweater with sequins and thrift store finds at the DIY station. A five-piece band will perform holiday classics with a Hawaiian twist at 6 p.m., before a retro variety show takes over at 7:15 p.m. The evening will also include a station to hand-make holiday cards and a tour of the galleries with samples from New Liberty Distillery (separate ticket required). Cocktails will be available for purchase from the bar. While there will be lots going on inside the museum, attendees may want to also spend a few moments outside. There's a giant, glittering Christmas tree at the top of the Rocky Steps.